Danny Knicely comes from a musical family steeped in a mountain music tradition for generations. He first learned music from his grandfather, A.O. Knicely, who has been playing dances and social events in the Shenandoah Valley of Virginia since the 1930’s. Danny has used his roots in old-time and bluegrass to explore various types of music from around the world. He has shared his music and collaborated with musicians in a dozen countries spanning four continents, including U.S. State Department tours in Tunisia, Morocco, and Russia. Danny is also musical director for the Mountain Music Project, a non-profit organization dedicated to serving traditional musicians worldwide, and he plays a major role in a feature length documentary film called “The Mountain Music Project”. The film follows two Appalachian musicians on a journey through the Himalayas of Nepal and the mountains of Virginia while they experience the extraordinary connections between these two mountain cultures. 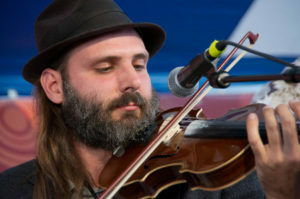 As a multi-instrumentalist, Danny has won many awards for his mandolin, guitar, and fiddle expertise, including first place in the mandolin contest at the prestigious Telluride Bluegrass Festival. 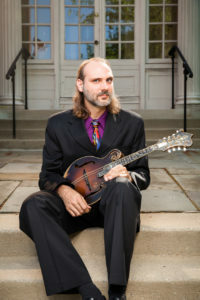 His masterful mandolinistry and original compositions can be heard on his debut album “Roots and Branches” and his colorful, versatile, acoustic guitar picking can be heard on his latest release “Waltz for Aimee”. Danny is an avid music educator whose students have gone on to attain degrees at institutions such as Berklee College of Music and Oberlin Conservatory. He has also taught at some of the leading music camps in the U.S. including Augusta Heritage Center, Common Ground on the Hill, Fairbanks Summer Arts Festival, and Millwood Blues Week.